As a San Juan Power Squadron member, you and your family can enroll in a great variety of advanced grades and elective courses with great discounts.These courses include Seamanship, Piloting, Advanced Piloting, Junior Navigation, Senior Navigation, Weather, Sail, Engine Maintenance, Marine Electronics and Cruise Planning. In addition, USPS offers more than two dozen self study courses on such subjects as the Water Sports,Oceanography, Introduction to Sailing, Preparation for Coast Guard Licensing, and much more. the best anchorages, marinas and boat repair shops. As a San Juan Power Squadron member , we will automatically invite to join in the squadron and district cruises, rendezvous, predicted log contests, raftings and other on-water activities, as well as those activities on land as "noches de ronda" at different locations and restaurants. organizations offering special rates to all Squadron members, like Boat Us. A Port Captain is a member of the United States Power Squadrons®, who stands ready, at all times of his or her choosing, to provide advice and assistance to USPS® members, and if the Port Captain chofes, to others making contact. 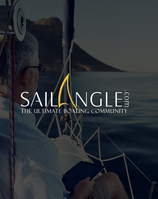 SailAngle.com was conceived by experienced boaters to appeal specifically to the needs of boaters and promises to be "The Ultimate Boating Community". After much research we discovered that the few websites devoted to boating were poorly conceived, poorly executed and did not meet our expectations. SailAngle.com took a "clean sheet of paper" approach. The result is a professionally executed web site that includes unique features for boaters that currently do not exist on any boating related web site. assistance to USPS® members, and if the Port Captain chooses, to others making contact.